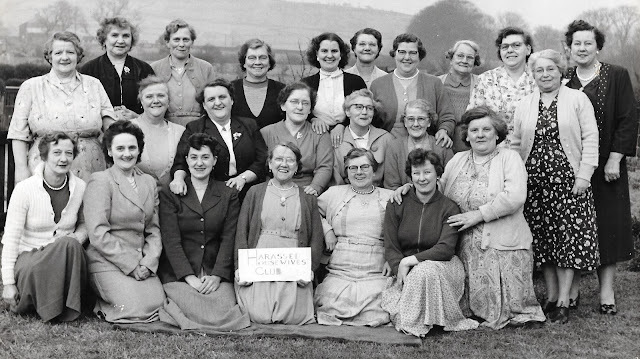 While Prime Minister Harold Macmillan was proclaiming in 1957 that "most of our people have never had it so good", a group of Silsden housewives, with typically wry humour, formed the Harassed Housewives Club. This photograph was taken by the late Will Baldwin. It was among photographs on display at Silsden Local History Group's Remembrance coffee morning at the Town Hall on Saturday, November 12th. Under the heading "Who Do They Think They Are? ", the photos showed local groups of yesteryear and the historians invited members of the public to put names to the faces. No idea if these housewives were harassed or not, although one or two were club members. Some were neighbours in Howden Road and maybe the occasion was a victory party after the war. Will Baldwin took the photo. Another Will Baldwin photo, this time from the 1970s or 80s. 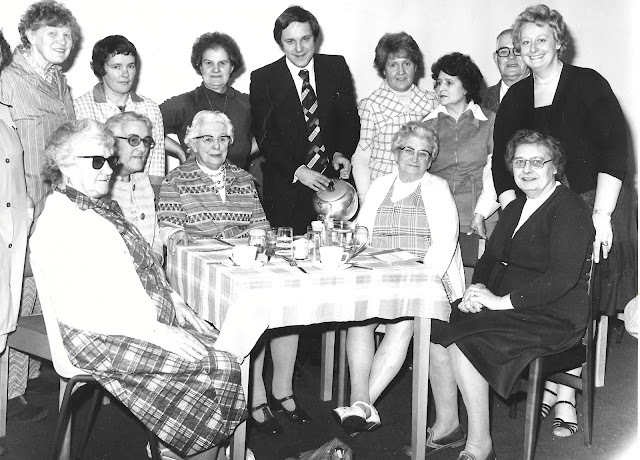 The late Richard Whiteley, renowned host of Channel 4's 'Countdown' game show and news presenter for ITV's 'Calendar', serves residents at a Silsden Good Neighbours event. As Richard might have said: it was a pour do (possibly at the Staincliffe Court flats).